The oil palm is a remarkable crop, producing around 40% of the world’s vegetable oil from around 6% of the land devoted to oil crops. Conventional breeding has clearly been the major focus of genetic improvement in this crop. A mix of improved agronomy and management, coupled with breeding selection have quadrupled the oil yield of the crop since breeding began in earnest in the 1920s. However, as for all perennial crops with long breeding cycles, oil palm faces immense challenges in the coming years with increased pressure from population growth, climate change and the need to develop environmentally sustainable oil palm plantations. 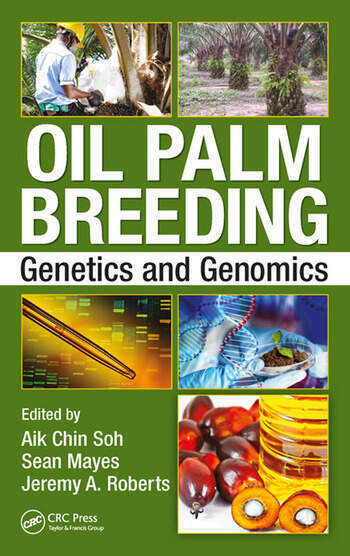 In Oil Palm: Breeding, Genetics and Genomics, world leading organizations and individuals who have been at the forefront of developments in this crop, provide their insights and experiences of oil palm research, while examining the different challenges that face the future of the oil palm. The editors have all been involved in research and breeding of oil palm for many years and use their knowledge of the crop and their disciplinary expertise to provide context and to introduce the different research topics covered. Professor Aik Chin Soh is a leading international oil palm breeder and geneticist although currently in an advisory capacity. Presently he is an Advisor (previously Research Theme Leader in Breeding & Agronomy) in the new international crop research center, Crops For The Future. Earlier, he was the CEO and Research Head supervising over 30 research scientists at Applied Agricultural Resources Sdn. Bhd., a leading plantation R&D company. Over the years, he has developed semi-dwarf and improved harvest oil palm hybrid seed and clonal varieties which continue to make impact on the Malaysian oil palm industry. He obtained his Bachelor’s and Master’s degrees from University of Malaya and PhD from Oregon State University, all on industry and university scholarships and teaching assistantships. He has published about a hundred papers and book chapters, many in leading international crop journals and also served as their reviewer. e.g. Euphytica, Crop Science, Phytopathology, J. Agric Sci, SABRAO J., J. Oil Palm Res. 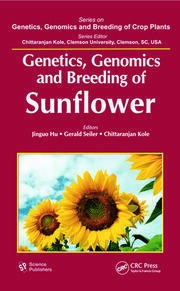 , Plant Breeding Reviews (Wiley), Handbook of Plant Breeding: Oil Crops (Springer), Encyclopedia of Fruits & Nuts (CABI) and Palm Oil (CABI). He also served as reviewer and advisor to the oil palm breeding programmes of Malaysian Palm Oil Board, Cirad (France) and other plantation R&D companies. He is a Fellow of Academy of Sciences Malaysia, International Society of Oil Palm Breeders, and Malaysian Oil Scientist & Technologist Association. He is a winner of the Malaysia Toray Outstanding Scientist Award and the Accomplished Plant Breeder Award of the Genetics Society of Malaysia. He as Honorary Professor also lectures and supervises MSc & PhD students at The University of Nottingham Malaysia Campus since 2007. 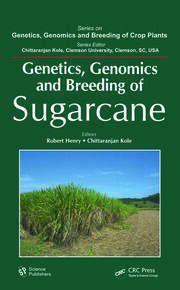 Breeding, genetics and biotechnology of tropical crops with experiences in oil palm, chilli pepper, maize, papaya and, cacao. Breeding, agronomy and crop physiology particularly with respect to resource (light, water, nutrients, gas, labour) use efficiencies in cropping (mono/mixed/intercropping) systems to adapt and mitigate against climate change effects. 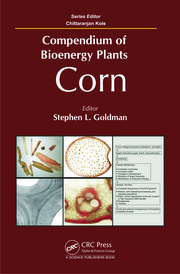 Renewable energy production through biomass/biofuel crops. Varietal and agronomic development of underutilized plant species. Dr Sean Mayes is currently an Associate Professor in Crop Genetics at the University of Nottingham. He started his research career working for Unilever at Plant Breeding International (Cambridge) working with Peter Jack and Hereward Corley on applying molecular genetics to the oil palm programme, applying genetic fingerprinting to clonal propagation and developing the first genetic map for oil palm. Over the years he has worked on a range of tropical and temperate crops, with a focus on generating genetic markers and applying them in a research and breeding context. His research interests are in the assessment of genetic variation and the use of genetic tools to dissect agricultural traits of breeding interest for marker assisted selection. He has published over 80 peer reviewed papers and acts as a consultant to the oil palm industry. Professor Jerry Roberts is Deputy Vice Chancellor Research and Enterprise at the University of Plymouth. Prior to this appointment, in February 2017, he was at the University of Nottingham where he was Director of the Biotechnology and Biological Sciences Research Council (BBSRC) AgriFood Advanced Training Partnership and of the University of Nottingham’s BBSRC Doctoral Training Partnership. He has been a long-standing member of the Malaysian Palm Oil Board (MPOB) Programme Advisory Committee and for a number of years was chair of FELDA’s R&D Advisory Panel.